You are here: Home / Car Accident / What Happens if You are At Fault in a Car Accident? Even if the car accident is your fault, you may still be able to collect compensation for vehicle damage using collision coverage. If you have been injured in a car accident caused by another person’s fault, you can recover damages from the at-fault driver. 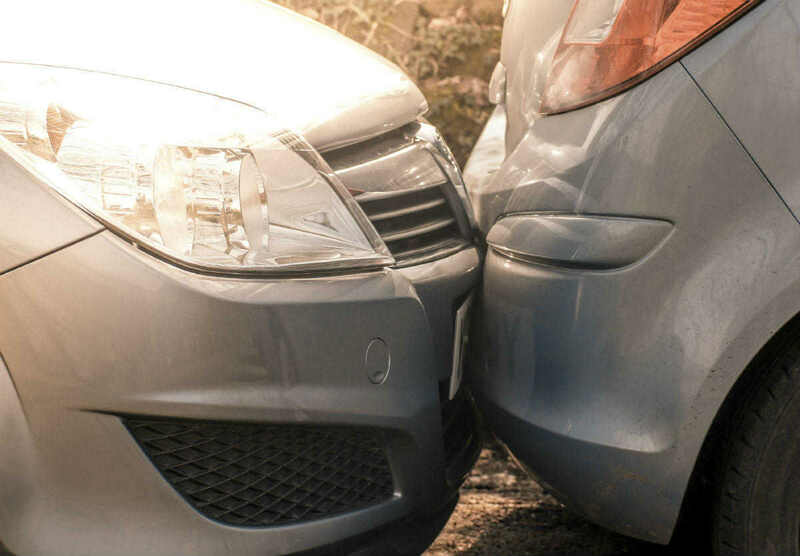 If the accident is your fault, you may still be able to collect compensation for vehicle damage if you have collision coverage in your car insurance policy. Collision coverage allows you to make a claim with your own insurer to pay for car repairs regardless of who was at-fault for the crash. In Missouri, fault will affect the amount of money that you are entitled to. It is a no-fault state, which is why it is so important for you to determine who is liable and at fault up front. The more responsible you are for the car accident, the less you will be entitled to recover. Because Missouri is an at-fault state, the driver who is responsible for the accident is generally responsible for paying for the other individual’s lost wages, medical costs and any property damages as a result. Personal injury protection is required when you drive in the state of Missouri, but vehicle damage is not included in the coverage unless you purchase something called “collision coverage”. Therefore, if you are injured in a car accident your medical bills will be covered to the limits outlined in your policy, but your property damage will be your responsibility. Personal injury protection will cover any bodily injuries that are a result of the car accident for both you and the other driver, but it does have a limit that is outlined by your individual coverage. However, making a claim under your own collision coverage has no effect on your right to file a personal injury claim against the driver at-fault. You can pursue a claim against the at-fault driver’s insurance company for lost income and personal injuries. You can also collect compensation for property damage that is covered by your own collision coverage such as any uncovered property, equipment, or deductibles. There are several advantages of making a claim under your own collision coverage compared to making a third-party claim. Your own collision coverage is more likely to settle quickly, because you get paid irrespective of who was at fault for the collision. On the other hand, a third-party claim is paid only if you are able to prove the other person’s liability and this often takes more time as the insurance company may dispute liability of the other driver. You may need to contact witnesses and wait for the police accident report to be able to prove the other driver’s fault. Even if you file a third-party injury claim, you may want some time to investigate the matter before you discuss fault with the other driver’s insurance company. Because there is no question of fault when you use your own collision coverage, there are no delays in receiving reimbursement for repairs as soon as you have complied with the insurance company’s rules regarding estimates and inspection. When you make a claim under your collision coverage, the damages that you receive are limited to the amount of coverage listed on your policy. If the policy limit is lower than the cost of repairs, you will have to pay the remaining amount out-of-pocket. In addition, there may be restrictions on the amount you can claim for damaged items inside the car. The compensation that you collect under collision coverage is reduced by the amount specified in the policy as the deductible. Because your insurance company generally does not have your best interests at heart, it is critical to get the advice of a St. Louis car accident lawyer to make sure that you aren’t left holding the bag for money that should be covered through your insurance carrier. Don’t wrongly assume that you can’t recover compensation for injuries and damages unless you have exhausted all your avenues and consulted a professional to sort through the claims process and coverage.